Frustrated EBS customers have complained about being unable to access their accounts online. And Ulster Bank has again experienced problems processing payments for customers. EBS customers said they had been unable to access its online banking system for the last six to eight weeks. A spokesman for the AIB Group, which owns EBS, said an upgrade to its IT system left customers locked out of their current accounts. "EBS is committed to improving services for our customers and recently reviewed and relaunched our online banking website. "We can confirm our online banking site has not had any outages over the period. However, we are aware some customers have had difficulty in accessing online banking due to enhanced security features in the log-in process." EBS said that following the relaunch of online banking it had taken a number of queries from customers. It operates the MoneyManager account. "We are working through all call-back requests and the vast majority of these call-backs are now complete," the spokesman said. Meanwhile, Ulster Bank has again experienced issues processing payments. 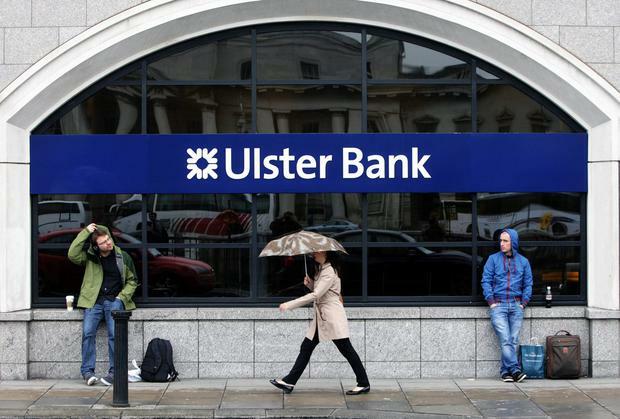 The latest problem saw transactions made using the bank's mobile app failing to appear in the accounts of some Ulster Bank customers. The bank said that due to what it called the European Payment Bank Holiday on Tuesday, Ulster Bank customers were unable to make payments to other Ulster Bank accounts via the mobile app for 24 hours. "Any customer that tried to make payments via the app more than once during that period may have duplicate transactions." If a customer's payment to a third party was processed more than once during this period, Ulster Bank will reverse those payments, it said.